PLEASE NOTE: This is a rescheduled date from November 2017. Original tickets remain valid. 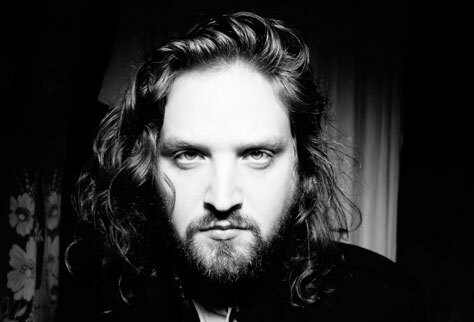 We’re delighted to be promoting Will Varley’s biggest Manchester show to date – with guests Ida Mae and Sean McGowan! The heady sense of the unfamiliar suffuses Will Varley‘s music – somehow so rooted in the ancient folk traditions we know intimately yet with a voice and lyricism that resonates unlike anyone before him. Perhaps it’s the collision of his relative youth and wisdom. Or perhaps it’s the times, and how Will is able to capture them in his soul-searching and musings. From rambling along England’s south coast playing shows along the way to supporting Billy Bragg, The Proclaimers and Frank Turner, Will’s travels have led him to places far from his home in Kent, the Garden of England. After self-releasing two albums, he signed to Xtra Mile Recordings in 2015 whereupon third album Postcards From Ursa Minor propelled him with rocket fuel into new territory. It would’ve been easy to draw on that for a couple of years, but it’s alien to Will to remain in one place for too long. ‘If you know where you are when you wake up, something’s wrong,’ he sings on Seize the Night, and so it goes that fourth album Kingsdown Sundown followed only a year later. It was immediately clear that Will had absorbed the shadow that had fallen squarely across the world as 2016 unfolded. Instead of the inherent hopeful sound of Postcards, he pared down the songs to a sombre, skeletal tone. To Build A Wall, Something Is Breaking, We Want Our Planet Back and We’ll Keep Making Plans tell the tales of a world in crisis, and the efforts of ordinary people to carry on. While his crowds got bigger and his songs were being embraced by peers and fans alike, Will still wrote what he felt. And people understood. These songs made even more sense as they hung in the air at the beautiful Union Chapel in north London, a sold-out, hair-raising and triumphant show. But Will couldn’t dwell on that set of songs for long either. In bringing the exhilaration of the unfamiliar into his fifth album Spirit of Minnie, Will took the opportunity to record the album in autumn 2017 with producer Cameron McVey, who has worked with trip-hop luminaries Massive Attack and Portishead. Making this decision will undoubtedly be another unforgettable milestone. For the first time, Will assembled a full band to draw out the galaxy-spanning atmosphere within the core of his songs. A nod to his previous brush with Postcards…, All Those Stars brings you into the warmth, and invites you to admire the grain of the songs while lost in the ambience. By the time you reach the halfway point, Statue, Will’s songs have been lifted by pedal steel, violins, piano, bringing them a visual quality, like seeing things in colour for the first time. The title track is a career highlight – a tale that recalls folk-storytelling traditions and folklore (‘to us she is vast and ancient, to the universe she is still a child’) with the swell of its drama built from an eerie collage of acoustic sounds, a reminder of how potent a vision an intimate room of unplugged musicians can conjure. The album closes with a story of humanity, our place on the Earth and our curiosity, and our follies, set to an ebbing and flowing ocean of strings guided by the pull of the band at its heart. As ever, Will has taken us on his travels, asked big questions and explored further than before, away from the stark rolling hills of Kingsdown Sundown to the wide, expansive and mysterious landscapes of Spirit of Minnie. And more people are set to join the robust party accompanying him – his back catalogue for the first time available on Spotify and other streaming sites and live shows around the world growing in size organically, just as his songs have grown with instrumentation and ambition. His appeal is in how he turns his hand to the heartfelt and the philosophical and relates it back to every single person that hears him and is understood. He is the definition of a modern storyteller steeped in tradition. His return to the road in 2018 follows most of 2017 being on it – supporting Frank Turner in the US, performing solo in Germany and France, returning to the US to support Lincoln Durham, and then yet another European tour this time with Valerie June. He consistently steals the show, as he has at festival tents throughout the summer, at Frank Turner’s Lost Evenings in May 2017, and at the first Xtra Mile Reeperbahn showcase in September. He continues to tour and bring songs to as many as possible – joining Skinny Lister in the US and playing his biggest UK tour to date including London’s Shepherd’s Bush Empire on album release day. It all seems a long time since his first tour with The Proclaimers (in 2015), when he first supported Frank Turner at the Royal Albert Hall in support of Teenage Cancer Trust, his first EP release with Xtra Mile – the passing of time has crafted a one-off, a man who broaches the unfamiliar and comes back to tell us what he’s found in the most beautiful ways. Main support comes from Ida Mae. After finding critical acclaim with Kill It Kid, spending years touring various parts of the world, and working closely with legendary A&R man Seymour Stein, Ida Mae – aka husband and wife Chris Turpin and Stephanie Jean – felt drawn to a more honest sound, a simpler expression of song where all you need is a guitar and a voice to accompany it. Currently working on their debut album with acclaimed producer and friend Ethan Johns (Ryan Adams/Ray Lamontagne/Kings Of Leon/Laura Marling), their partnership with Decca Records is set to be the most exciting adventure they’ve ever embarked on together. Opening the show is Sean McGowan. Raised on a diet of The Clash, The Jam, Specials, Billy Bragg and other such politically-charged, punk-ignited British pop, 24-year-old Southampton-born troubadour Seán McGowan has been playing up and down the UK for six years, and DIY released three EPs over that time (given away / sold on a ‘pay what you want’ basis at shows). 2017 was jam-packed with touring for McGowan – including his first ever main stage festival appearance at Common People, sold out headline shows and a UK tour with Mr Billy Bragg himself.? He’s now penned a record deal with Xtra Mile Recordings and released his new EP Graft & Grief, featuring new single Costa del Solution. It’s all coming together for the Southampton boy. He’s got the ball and he’s running with it. Tickets are available from Seetickets.com, Ticketline.co.uk and on 0871 220 0260.